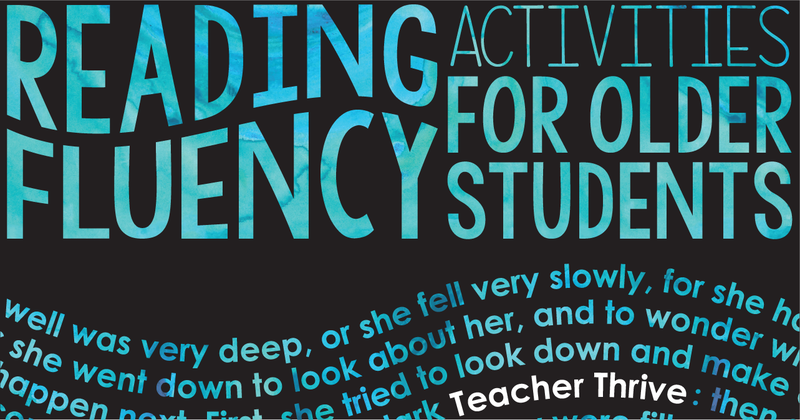 Reading fluency gets a lot of attention in the primary grades. Unfortunately, students in grades 4-8 who still struggle with fluency don't get the attention they need. Many of these students need explicit instruction and meaningful practice for fluency in order to become competent readers. It's not easy for teachers who work with older students to fit fluency practice into their already tight schedules. Here are a few fluency activities that you can easily work into your day. 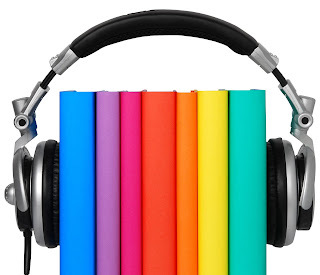 Audio-assisted reading is when you have a student follow along in a text while listening to an audio recording (audio CD, audio book, or iPod). After the student gains confidence using the audio version, he/she can then transition to reading the text independently. This is such an effective way for improving word recognition, as well as building proper phrasing and expression. This is also a great strategy to use in content areas such as science and social studies; often times, publishers include the audio version of the textbook for teachers to use. You can also record your own audio-versions of close reading passages or short stories for your students to use. If you're doing a novel study, check your public library for audio CDs for the title you are using. You can also make a listening center in your classroom using jack extenders, so that multiple students can read along at the same time. Holding "poetry slams" is a perfect disguise for fluency practice. Find relatively long poems (haiku's might not be the best choice:-) from your favorite authors that are age-appropriate for your students. I love using work from Shel Silverstein or Jack Prelutsky for younger students. 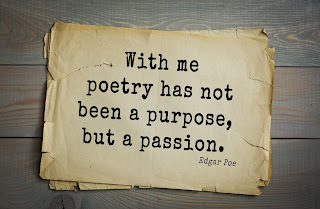 If you teach middle school students you may want to look into poems by Langston Hughes or Edgar Alan Poe. 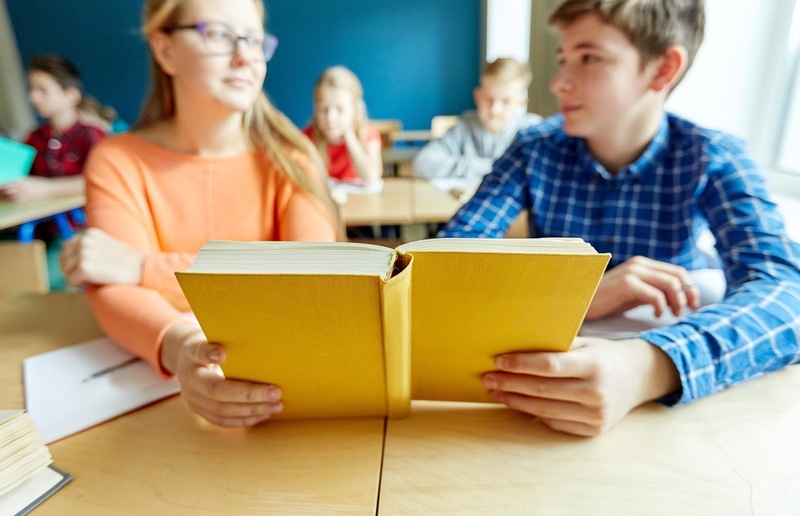 Poetry offers smaller, non-threatening text for students to work with, and more reluctant readers may be more motivated by the creativity and playfulness that the genre offers. The assonance and alliteration of poetry also make this medium perfect for fluency practice. Gather a large selection of poems and have your students choose one they would like to practice and eventually "perform". 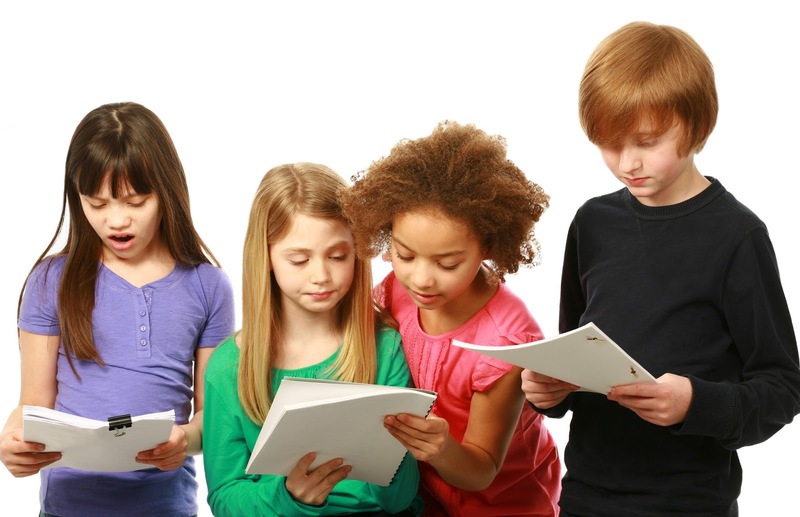 Performances can take the place as simple readings in front of the class, in a small group, or with a partner. 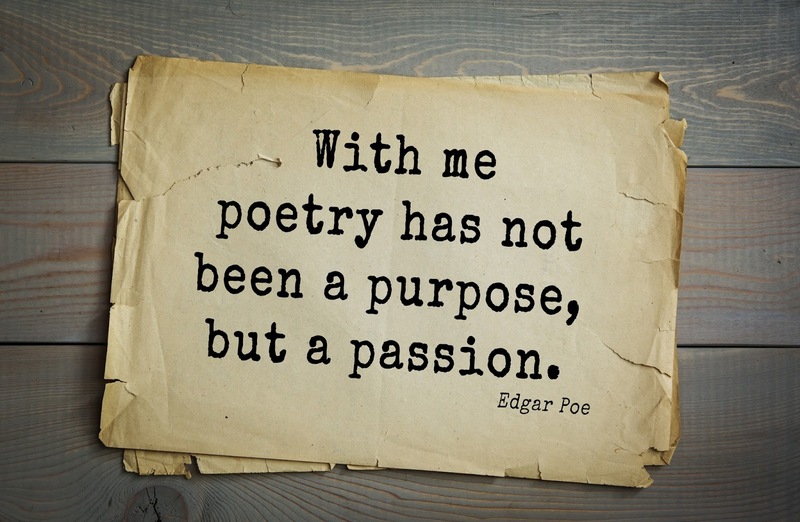 Students can also make a PowerPoint presentation that they narrate by reading the poem. Presenting options are endless; the most important thing is to get them reading and rereading the poem in order to improve fluency. Students LOVE readers' theater. They get so excited by the idea of performing in a play, even though this activity does not require students to memorize any text. Unlike a real play, there are no costumes, props, or sets needed. There are several free resources if you're looking for scripts. Dr. Chase Young has written several for younger students, and Aaron Shepard has some great scripts for older students. You can also write your own scripts, or even have your students write their own, based on picture books or a chapter from a novel. BONUS: Aaron Shepard's site has a video of The Chamber Readers reading one of his scripts; what a perfect way to provide a model for your students! This strategy pairs two readers together with the same piece of text. You can pair your students by listing your class in order from highest to lowest according to reading ability. Then divide the list in half. Place the top student on the first list with the top student in the second list. Continue until all students have been paired up. Students in the pairs will take turns reading the text, by dividing it into paragraphs, subheadings, pages, etc. The students can also read the text simultaneously (choral reading). I really like this strategy for reading within science and social studies books, which can be particularly difficult for students. However, you can use parter reading for any text. 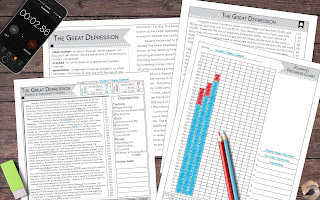 Timed readings are a systematic way for students to work on fluency, and it offers a great opportunity for students to monitor their own progress. Students are given a passage they have never read before. They will complete a "cold reading", where they read for exactly one minute. The total words read (minus certain errors) are counted and this is their "cold score", which they graph on a chart. They then practice reading the passage and have opportunities to listen to it read by a fluent model. Following practice and modeling, the students will then complete a "hot reading", which is another one-minute session. Again, they count the total words read (minus miscues) to find their "hot score". Their hot scores are then graphed above their cold scores. I have several sets of close reading passages that include a format for timed reading with step-by-step instructions HERE.